Sotheby Floors is a one-stop-shop for all of your floor coverings needs, including, carpet, hardwood, laminate, tile and vinyl. 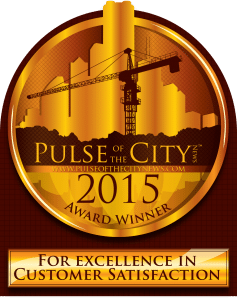 Recently featured on Extreme Makeover: Home Edition, we are big enough to get amazing pricing and small enough to provide the service you deserve! 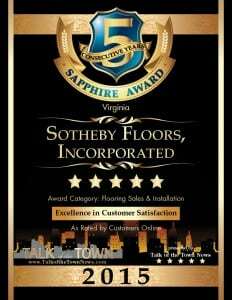 Conveniently located in Manassas, VA, we were crafted based on a continued void for excellent Customer Service in the Flooring Industry. From the moment you walk through the door, you will feel comfortable, relaxed and welcome in our store. Upon the choosing of your flooring needs, we will remain in constant communication with you to update you on the order process, the delivery process and the installation time frame. There should never be a moment where you are unsure about the status of your project. Upon the receipt of your order, we will schedule Professional Installers to be at your home at the time of your choosing. They are the top of the line installers who guarantee a great job every time! When dealing with an investment of this magnitude, you deserve to have the job done right the first time, we promise you will see the advantage instantly!